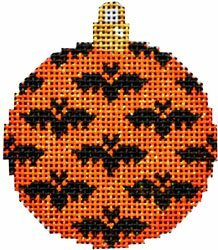 This Halloween needlepoint design Bats on orange mini ball is handpainted onto 18 mesh Mono Zweigart needlepoint canvas and is easy to stitch. 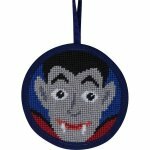 If you need stretcher bars we recommend a set of 6" and a set of 7" and some thumb tacks. 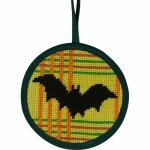 This halloween needlepoint Bats on orange mini ball canvas usually ships within 7 days. If for some reason there is a delay we will let you know.